Christmas and the new year is a time for reflection and to look back on the events of the year. 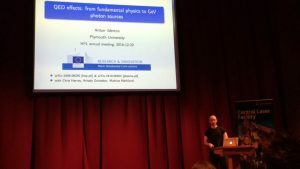 In science there are a number of conferences to review the progress in different fields. 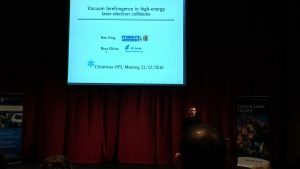 Member of the CMS who work on Quantum Field Theory at High Intensities are attending the end of year meeting: 2016 Christmas Meeting of the High Power Laser User Community at Abingdon School and Coseners House. 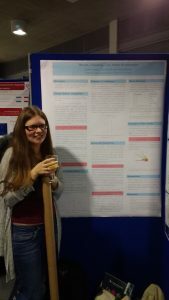 A number of talks and posters are being presented by members of Plymouth’s Centre for Mathematical Sciences. The picture below is of Dr. Ben King presenting his talk at the meeting.